Shannon is originally from Oshkosh, WI but moved to Green Bay for college in 2004 and has lived here ever since. She has a husband named Rich, a Schnoodle named Scruffers but does not yet have any kids. In January she became the Events & Marketing Coordinator for Big Brothers Big Sisters of Northeastern Wisconsin. Prior to that, she sold insurance for 3.5 years after graduating from UWGB. Shannon enjoys shopping, reading and participating in a variety of volunteer work. She also likes to try new things, which means she is always looking for new activities to try or fun classes to take. Shannon is currently serving on the Back to School Store committee, and is responsible for setting up the entertainment on the day of the store. In the Fall, she will be a member of the Big Blue Bash Production Committee. The De Pere Area Chamber of Commerce has selected Service League of Green Bay as its Charity Partner for their 4th Annual Golf Outing! This event is being presented by Johnson Bank, Johnson Insurance, WPS Health Insurance and NEW Wall Street. It will take place on Friday, July 26th at Mid Vallee Golf Course in DePere, WI. 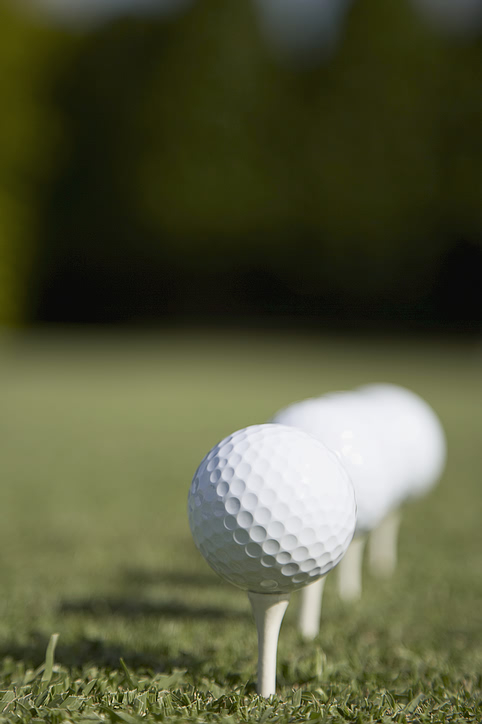 This fun, non-competitive event features lunch, dinner and a 9 hole golf clinic for beginners! Service League will be given a "hole sponsorship", and various marketing materials for this event will feature Back to School Store needs and donations. Service League will also be selling mulligans as a fundraising effort! Welcome to the July 2013 edition of Service League's electronic newsletter! Summer is here and we are actively preparing for the 2013 Back-to-School-Store, which we cannot wait for! If you or someone you know is interested in volunteering this year, please visit our website at www.serviceleaguegb.org. We look forward to seeing you there! Eighty-one years ago this January, a group of civic minded women united to establish what is now Service League of Green Bay, in order to make a difference in our community. It is an honor to serve as President of Service League for 2013-14! We take great pride in being an organization of women committed to meeting the physical, educational and emotional needs of the children in Brown County. "Recognized for its pioneering efforts in service to the Children of Brown County, Service League of Green Bay provides a unique opportunity for area women to volunteer their time and talents. Service League values women who demonstrate their commitment to its purpose through efficient teamwork. Service League strives to be sensitive to and supportive of the needs of its members and the children it serves, while fostering a spirit of fun and friendship." This vision statement speaks volumes to the many accomplishments of our members who exemplify what true "Leaders of Women" really are. I am honored by the opportunity to serve and guide our mission this year. Twenty years ago this August, Service League of Green Bay will complete our largest annual project, The Back to School Store. In 1993, Service League of Green Bay was able to respond to a community need and serve 200 Brown County children at our inaugural Back to School Store. This year, Service League will invite 1,500 students and find nearly 800 volunteers to make our growing Back to School Store a success. Please consider volunteering at our 21st Annual Back to School Store and help children of Brown County become ready for the upcoming school year. The 21st Annual Back to School Store will be held Wednesday, August 7th at East High School. We would greatly appreciate your help and would love to see you there! It may seem like summer has just begun, but it is time to sign up for your volunteer shift at Back to School Store! Click here to register online. No time to volunteer this year? Consider making a tax deductible donation to support the cause. Below is a list of the dates that we need volunteers to help make this a sucess! Wednesday, August 7th -The Big Day!